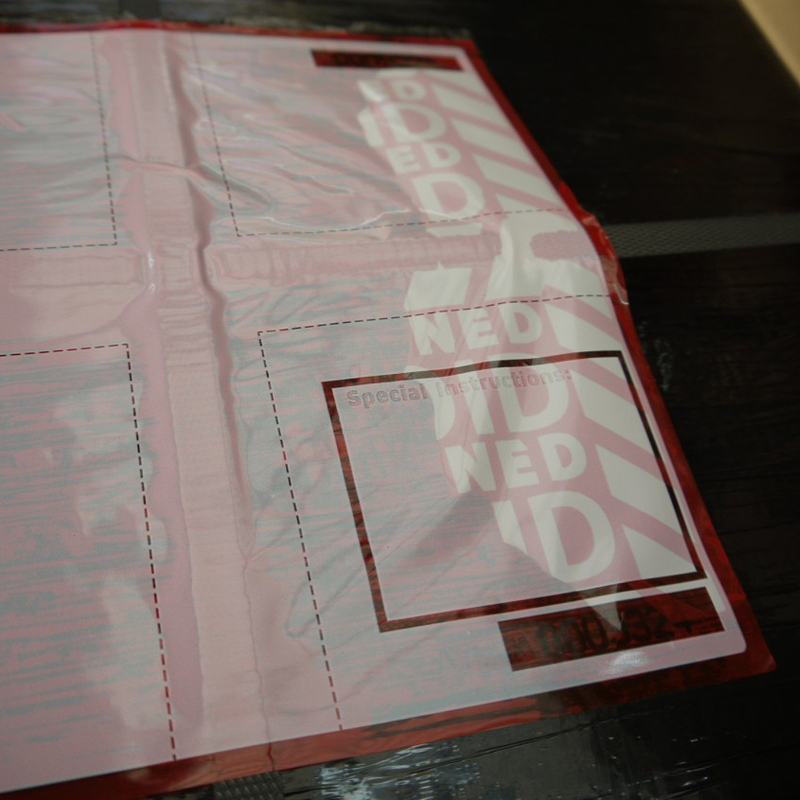 Pallet security labels are designed to protect pallets in transit which are vulnerable to theft and tampering. Tampertech pallet security label is a permanent tamper evident label, designed to protect the banding or strapping of the pallet whether poly or metal strapping. Preventing manipulation of the strapping and removal or pilferage of the inner cartons on the pallet. One label that can protect four cartons intersecting on the side of the pallet as well as the top of the pallet. The label can be applied anytime in the transit stream; at the shippers, distribution center, cross dock etc., over or under the stretch wrap. The pallet security label has a writable area for Shippers name, Facility information, Bill of Lading/Manifest, number of pieces on the pallet and can be overprinted with sequential numbers to provide identity and chain of custody in transit. The individual details on the labels ensure they can not be copied and used inappropriately.